Established in 1984, Laran Bronze is owned and operated by Larry Welker, his wife Diane, brother Randy, and son Larry. It's located in Chester, Pennsylvania in a large complex that was once a part of the shipbuilding industry. Over the years we have perfected the art of bronze casting from miniature to monumental. We the owners and employees are professional artists with degrees, and also produce our own work. Serious artists look first and foremost for a foundry with outstanding quality. 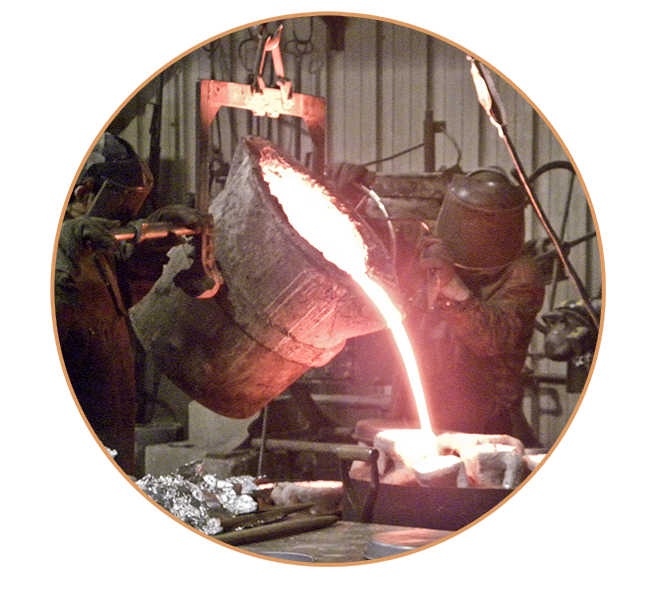 Many of our clients spend time at our foundry working hands-on with their own pieces. We combine age-old skills with the latest materials and technology, including digital 3D scanning and enlarging. Our large facilities allow for work at practically any scale. Please contact us to discuss how we might work with you and your project. We look forward to hearing from you. Clicking on an artist's name will link you to their website.